Heavy duty, lightweight white growing pots are available in multiple sizes to fit your growing space. Raised bottom and unique multi drainage holes and slits for optimum aeration of the root zone. 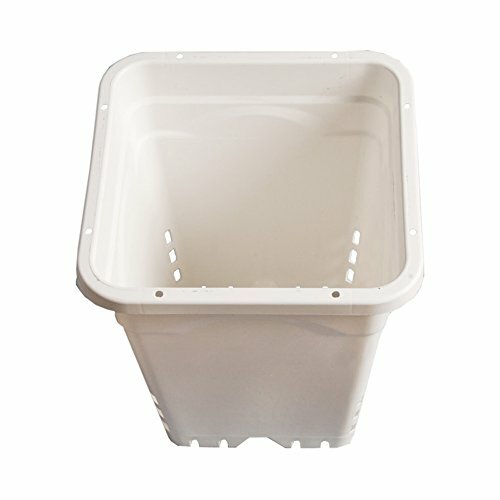 Durable plastic will give you years of use, and the white color will help keep your plants' roots cooler in direct sunlight.Unique multi drainage holes and slits for optimum aeration of the root zone.